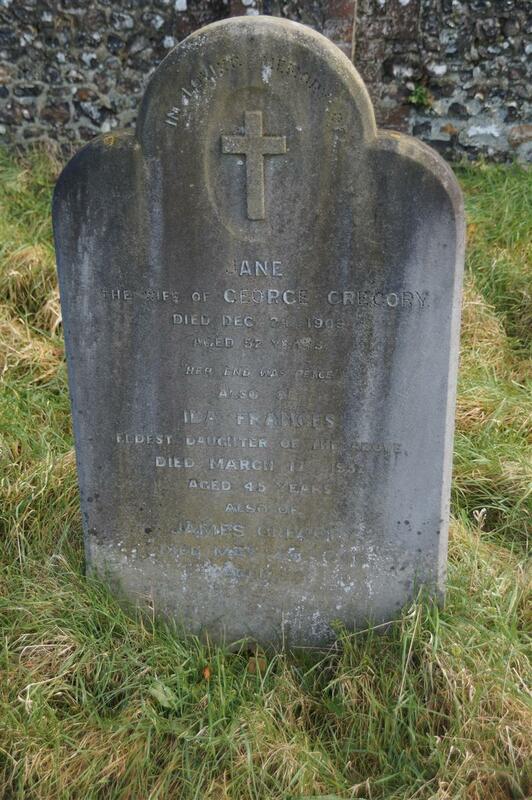 In loving memory of Jane the wife of George Gregory died Dec 24th 1909 aged 52 years - Her end was peace. Also of Ida Frances eldest daughter of the above died March 17 1932 aged 45 years. In loving memory of Lance Cpl William George Gregory (Duke of Wellington's Regt) only son of George and Jane Gregory. Killed in action Aug 10th 1915 aged 23.